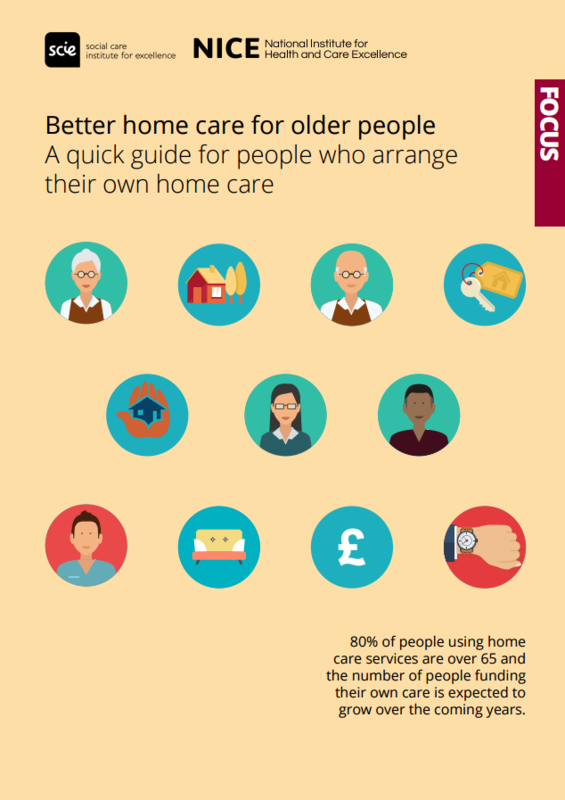 This guide is for people who use home care, their families and their carers. It describes the standard of care you should expect from a home care provider and explains what you should do if your provider is failing to deliver good care. What can you expect from a good home care service? Quick guides, developed jointly by NICE and SCIE, are based on NICE guidelines and quality standards. They cover key points relevant to specific audiences. This new format has been developed in response to feedback from the social care sector who report that they prefer information about improving services to be easily accessible, concise and visually appealing. The guides are available online and also as PDFs. Visit the fully interactive web resource at Better home care for older people. Please let us know what you think of this quick guide by completing the short survey in the web resource.